By an interesting coincidence, there are almost the same numbers of Colorado 14ers (53), Canadian Rockies 11ers (50), and Alpine 13ers (58) — somewhere in the mid-50s, depending upon your definition. The Colorado 14ers are definitely the easiest list to complete, with very few requiring more than 4000 feet of elevation gain or any scrambling. Probably thousands of people have climbed them all. The other two lists are much more serious, with probably only a handful of people having completed either. Having now climbed a good number of the other two lists, I have been debating with myself which would be harder for me to complete. The Canadian peaks are certainly wilder and harder to access; some like Clemenceau, I believe, cannot be done as dayhikes. On the other hand, access to the Alpine peaks is almost too easy, making all of them dayhikes from their huts. They are harder from the car, but probably still all doable in a day. None of them is very far from a road, though many rise 3000m or more above their trailheads, making for hard days. They are also more technical than the Canadian peaks, and while I think they are all within my ability by their easiest routes, I have not climbed enough of the hard ones to be sure. For example, I will probably not attempt the Aiguille Blanche near Chamonix, which sounds like it has a sketchy descent. I made a few plots comparing the lists. Apologies for the ugly format, but I don’t have my preferred plotting tools working on my computer right now. 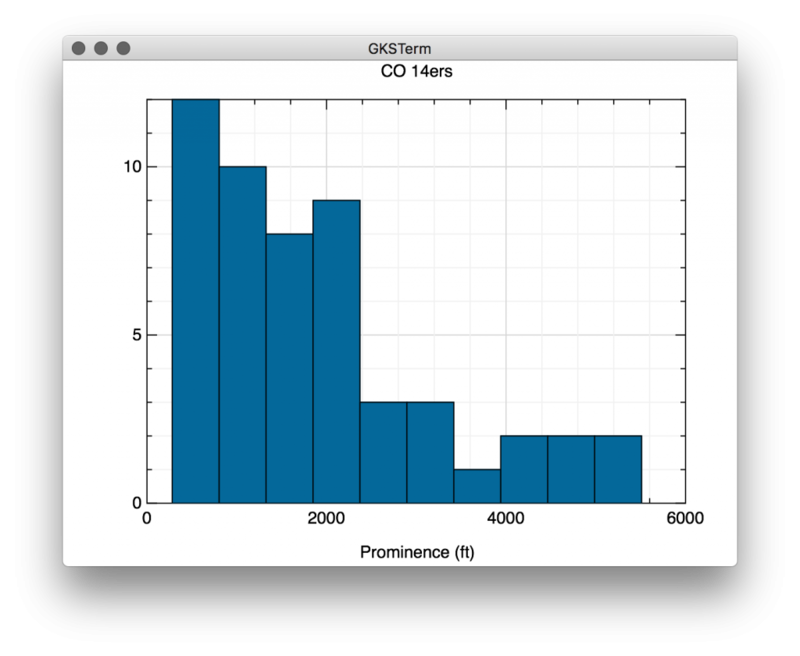 First up are some histograms of the prominence of all but the highest peak in each list. 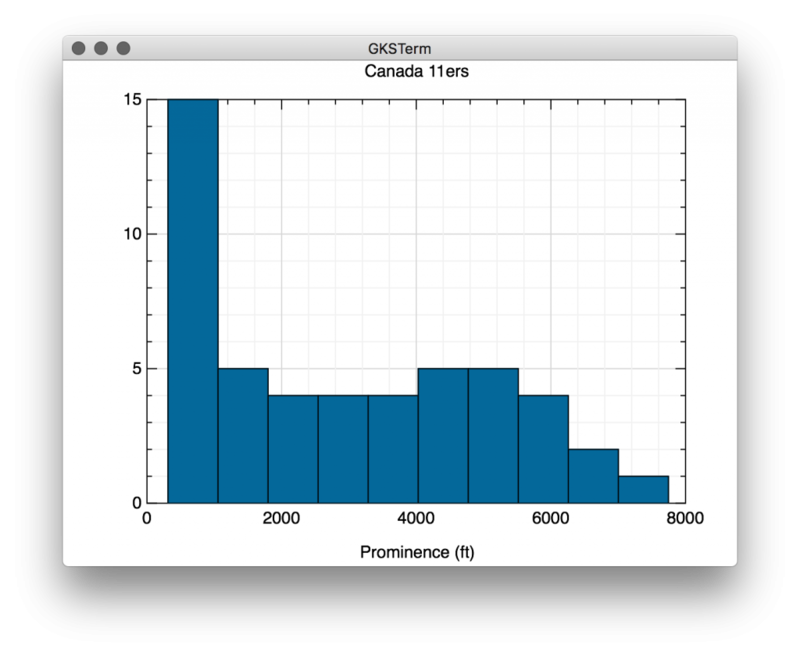 Prominence is the drop from a peak to the highest saddle connecting it to a higher peak, a measure of “independence.” Both the Alps and the Canadian Rockies’ most prominent peaks are significantly more independent than Colorado’s, because the Colorado peaks all lie on a high plateau. 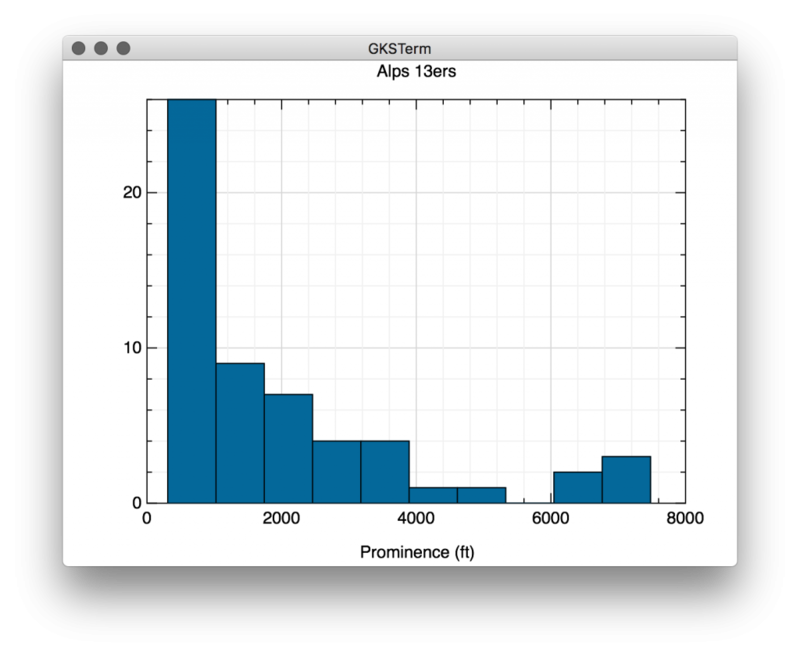 However, the Rockies 11ers are, on average, more independent than the Alps 13ers, reflecting the fact that many of the Alps’ high peaks are clustered in a few groups (Mont Blanc, Monte Rosa). 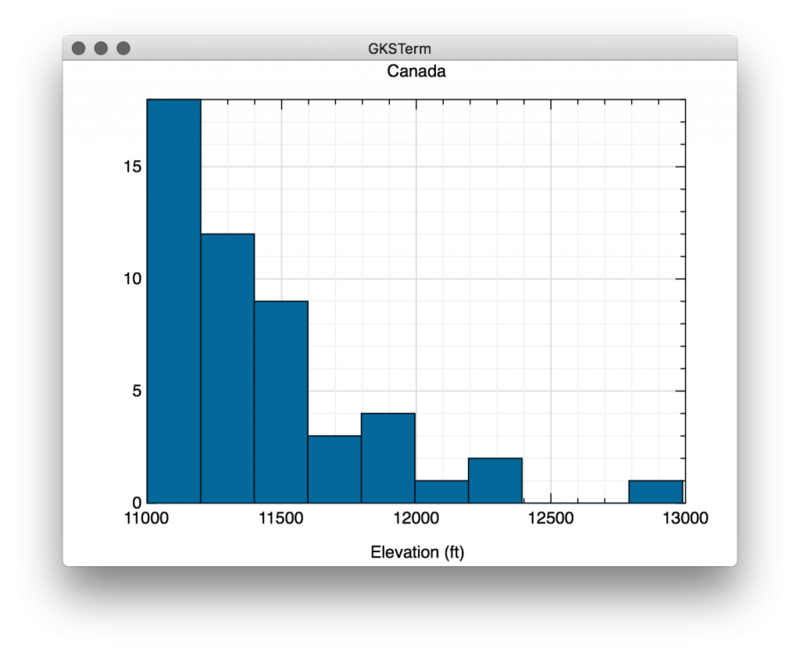 Next are some altitude histograms. 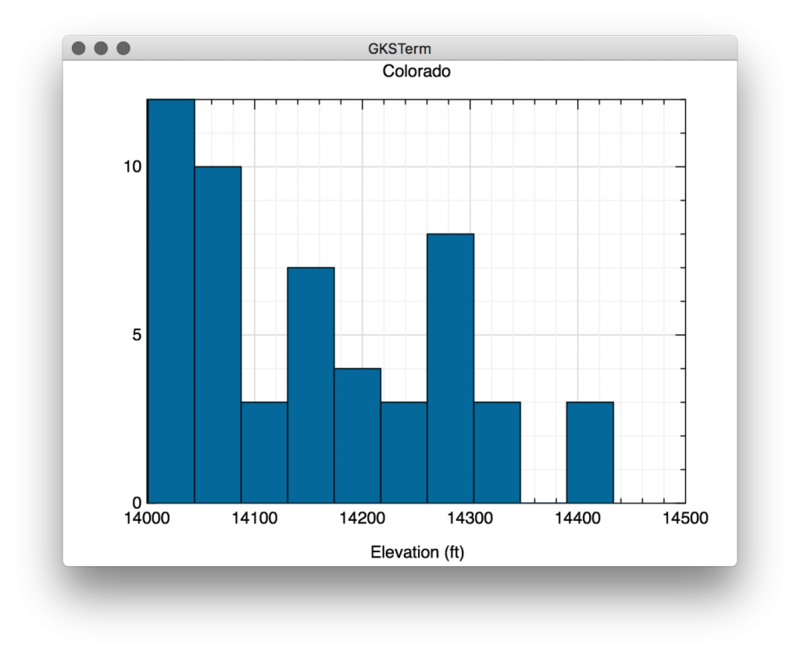 Colorado’s high peaks are all clustered within less than 500 feet of each other. This continues lower down, with over 600 peaks between 13,000 and 14,000 feet. Both the Alps’ and Canadian Rockies’ highest peaks, Mont Blanc and Mount Robson, are outliers. 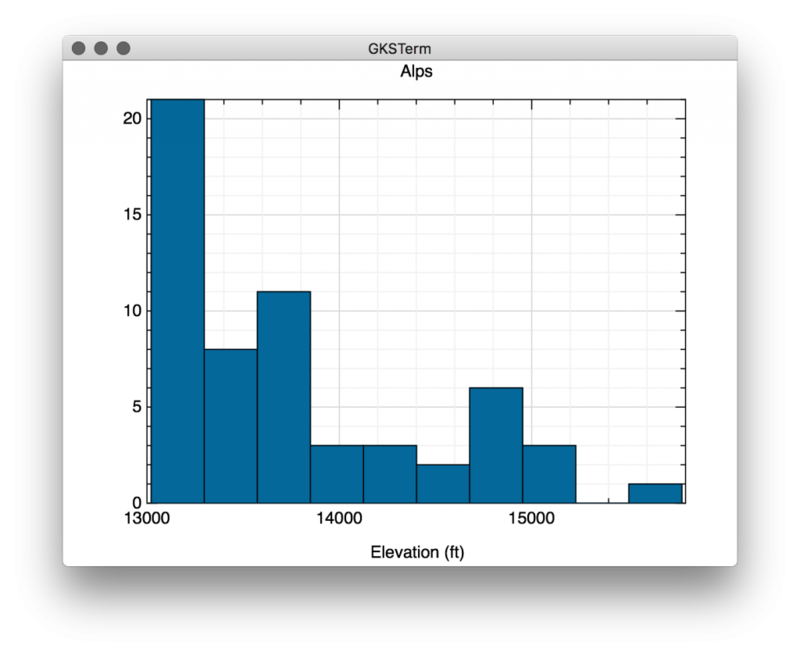 Both ranges also have much more variation among their highest peaks, with the Alps’ spread over 2700 feet, and the Rockies over 1900. I am not sure what this means. Anyways, I had some time to kill today. Back to mountaineering-related programming activities tomorrow.